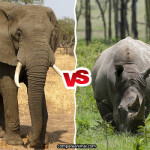 Who will win the fight between Asian Elephant vs African Elephant? 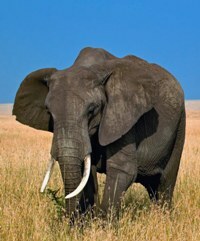 Elephant is one of the beautiful and the largest living land animal on earth and it come under the family Elephantidae. Elephant is divided in to two sub categories one is Asian Elephant whose genus is Elephas and another is African Elephant whose genus is Loxodonta, both species have some similarities and some differences. To identify all similarities and dissimilarities, I am going to compare Asian Elephant Vs African Elephant. Asian Elephant are also known as Asiatic elephant and they are further divided into three sub species which are Indian elephant, Srilankan elephant and Sumatran elephant, they are the smallest species of family Elephantidae with a length of nearly 17 to 20 ft long along head and trunk. Asian elephant is the largest living land animal in Asia with weight up to 2000 kg to 4900 kg and second largest in world after African elephant. They can easily be identified by their small round ears as comparing to African elephant big round ears covering their neck & shoulder. 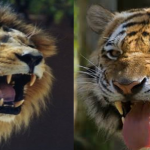 They are listed in the endangered status by IUCN (International union for conservation of Nature). African Elephants are the largest living land animal of the world with a length up to 23 ft and weight up to 4600 kg to 6800 kg. 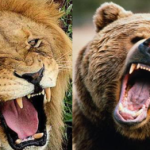 They are further divided into two species one is African forest elephant and another is African bush elephant, African elephants are taller, longer and heavier than Asian elephants. 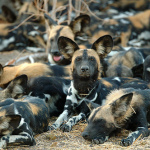 They are listed in the vulnerable status by IUCN (International union for conservation of Nature). Both elephants have dissimilarity or differences like their ears, head, trunk end finger, body wrinkles, toe nails, tusks and back shape. Before going further in detail about all these dissimilarities let’s take a one brief look at table given below about compare Asia Elephant Vs African Elephant. African elephant of Loxodonta genus have bigger round ears than Asian elephant of genus Elephas which covering their neck & shoulder and help them in heat loss. African elephants have more wrinkled body skin while Asian elephants have smoother skin. Asian elephant have a harder trunk with lesser rings while African elephant have more rings and less hard trunk. Asian elephant trunk end have one finger for holding things on the other side African elephant have two finger at trunk end which give them a strong grip as given below. On average African elephant live up to 52 years in wild and 65 years in captivity whereas Asian elephant may live up to 60 years in wild and 78 years in captivity. Average gestation period for African elephant is nearly about 2 years while average gestation period for Asian elephant is 19 to 22 months. Leaves, bushes and trees are the main source of food for African elephant on the other hand Asian elephants mainly feed on grasses, small stems and tree bark. Both male and female of African elephant have tusks but in Asian elephant only male elephant have tusks while mostly female elephant don’t have tusks. 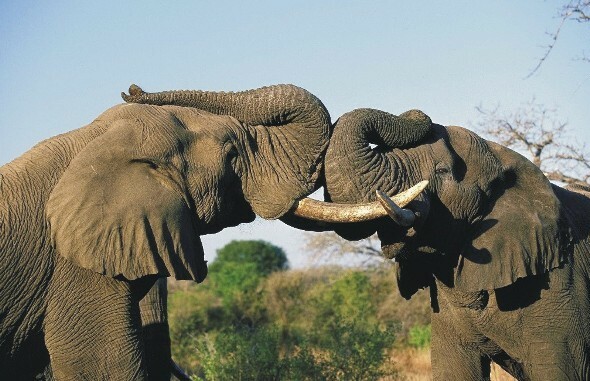 Both Asian and African Bull elephants posses same length of tusks but African elephants have slightly thicker tusks than Asian Bull elephant. African elephant mainly have 4 toe nail sometime rarely 5 on foreleg and 3 to 4 on hind leg, on the other hand Asian elephant have 5 toe nail on foreleg and 4 to 5 toe nail on hind leg. Both African and Asian elephants are highly intelligent but Asian elephants are slightly more intelligent than African elephant because they are in more contact with humans. 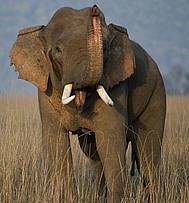 Asian elephants have two hemispheres bulges on forehead while African elephant have the flattered forehead. Asian elephants have some patches of depigmentation on head, neck and ears while African elephants have no patches of depigmentation. African elephant with 21 pairs have more ribs than Asian elephant with 20 pairs. 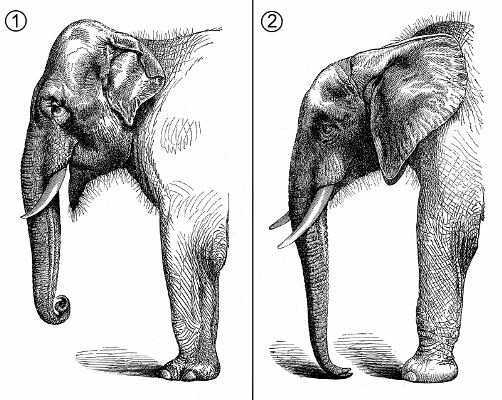 African elephant have concave back while Asian elephants have convex or level back. No doubt African elephants have more force and power than Asian elephants because of their habitat and surroundings they build them strong from decades as in Africa they have to walk miles for water and food as compare to Asia where there is lot of food and water is easily available in lush green forests. I am a big lover of elephants and I know both African and Asian elephants facts, characteristics and behavior. 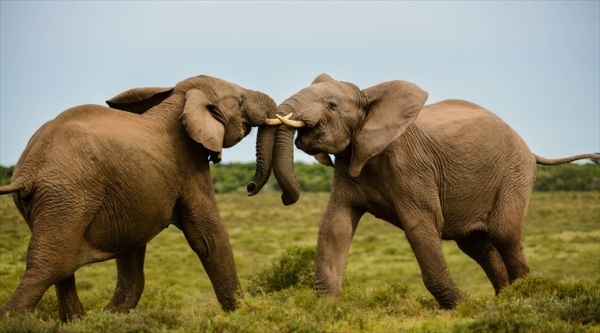 At last I would say that if both elephants will be in a head to head fight than there is 70% chance of African elephant winning over Asian elephant and it’s a true fact. African elephants are not giants compared to Asian elephants. The first picture in this page is of two African elephants. It’s caption says Asian elephants. I like Asian elephants more. Those who think African Elephant is better than Indian elephant.. You must come to India ..Western Ghats.You will find the difference ..
African elephant looks dangerous. It will not kill..
Yeah, I will have to go with Asian elephant. Asian elephants are often made to submit – by humans..
& was notably more dangerous as a circus, or war elephant – in times past..
African elephants are generally more aggressive, & have larger tusks too..
& naturally, having to cope with the fat tougher environment of Africa..
..will give the bigger breed the likely advantage – if it came to a fight..
As far as the african elephants are concerned, the appearance is enough to be decided. The power, force and strength with their Tusk and Trunk they can be ahead of Asian elephants any day. But Asian elephants won’t be so easier to battleto be frank, they have endurance and body balance which they are more smarter than the African elephants. Asian elephants trunk are more powerful than African elephants, and Asian elephants can able to stand with 2 legs, just imagine if Asian elephants using its forelegs to stood up with attack. Asian elephant if technically face, surely it will be the winner against the odds.